Pakketilbud på hele pure strike serien! Bare nevn hvilken hvilken pure strike du vil ha! First seen on tour as the #ProjectOne7 prototype racquet. 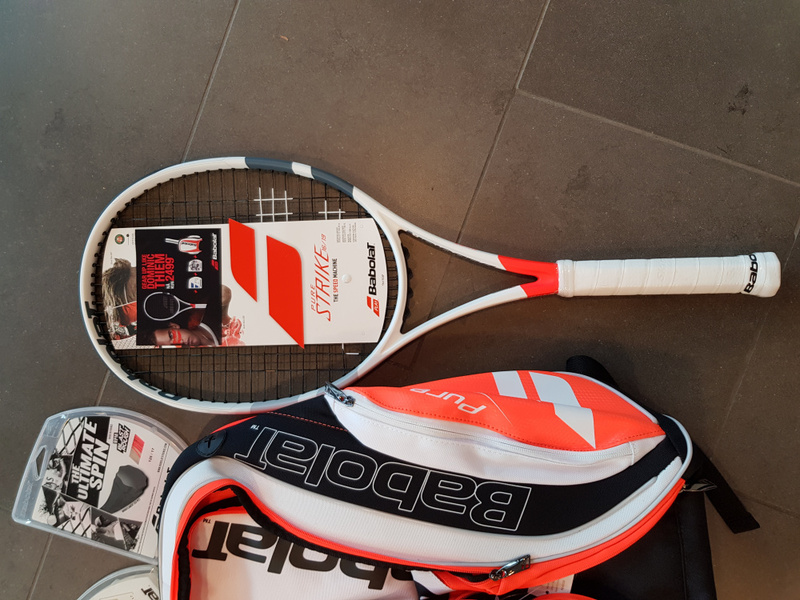 With the Pure Strike 16x19 Babolat has once again created a modern players racquet with universal appeal - call it a softer, more controlled Pure Drive with outstanding feel, quick handling and impressive targeting. In addition to its square & elliptical Hybrid Frame Construction, this update comes with Babolats new FSI Power technology, which widens the spacing between the upper crosses for a juicer, more spin-friendly ride. In contrast to the 2014 version, Babolat has thickened the beam in parts of the shaft and head to enhance power and stability. On court these features amount to a comfortably firm response that is as lively as it is precise. From the baseline the Strike has the same easy acceleration and out of the box playability as the Pure Drive, but it feels a tad friendlier on the tendons. Spin comes easy, and big swings find their mark without much fuss. Although the widened beam and more open string spacing definitely provide extra pop over the previous generation, the power never feels overwhelming. At net the Strike 16x19 feels fast and accurate, with decent stability for a sub 12 ounce racquet. Touch artists should have enough feel to kill the pace and drop the ball maliciously short. As with the previous generation, this racquets combination of power, precision and spin should translate into some very aggressive serving. 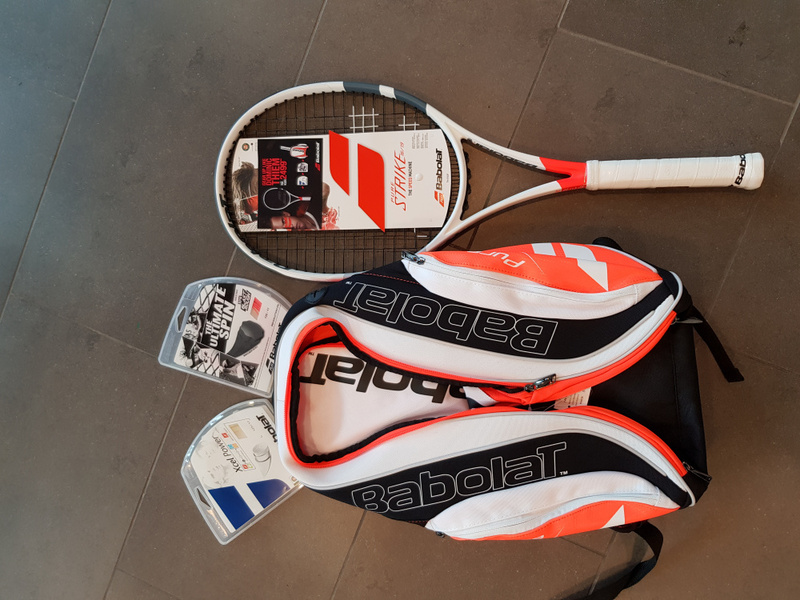 With this solid update to the Pure Stike 16x19 Babolat checks all the right boxes. 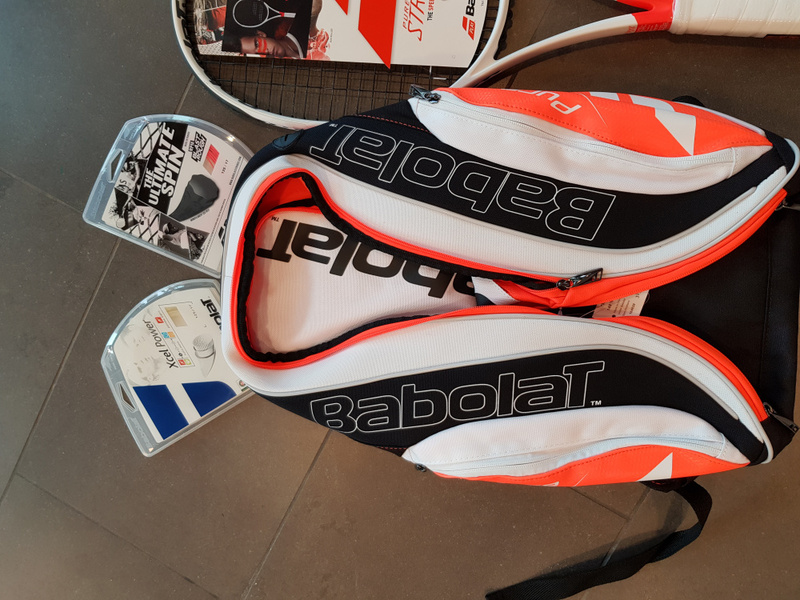 A Must demo for any player who wants a zippy, great feeling players racquet with very user-friendly levels of power, control and spin. Head Size:98 sq. in. / 632.26 sq. cm.